My forester SF5 turbo was stood for two years. I did a few things for MOT and it passed yesterday morning. Later last night (car had mot moved during the day) moved the car and heard a bang and car stopped. Removed cam cover after a bit of investigation work.....timing belt snapped. This morning I stripped it with a view to putting a new belt on to find upper d/side plastic pulley (intake pulley I think )in a million pieces. Started to look at setting timing. Pass Side lower cam pully will not turn at all(all others moved ok).....Any ideas why can't I move it. Could it be a valve stuck not allowing the cam to move? 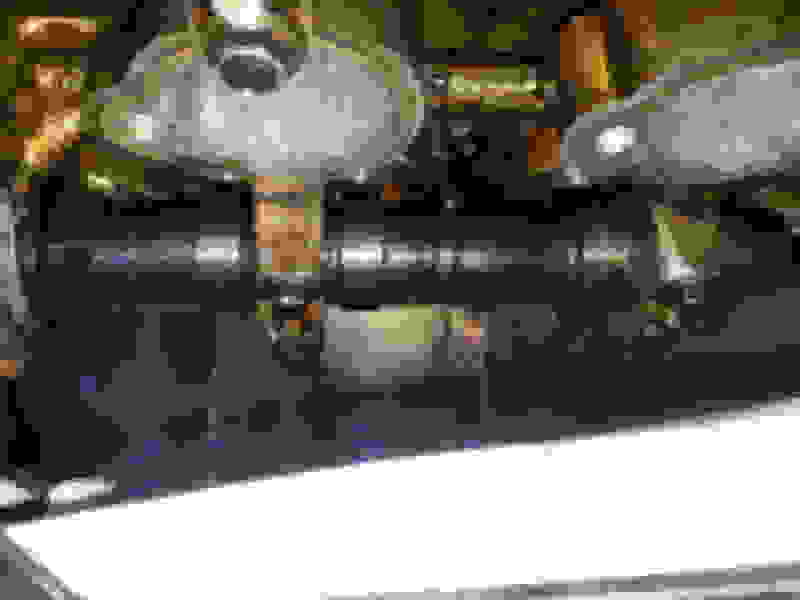 Last edited by staffychance; 13 April 2019 at 08:38 PM. When cam belt goes it has a nasty habbit of taking the engine with it, sounds like it may well have mushed a valve going on what you say. can you get a camera into the spark plug hole? prob find you can see marks on the piston at least. Tidgy.....unfortunately I don't have a camera mate....any other ideas...any reasons why the pulley won't turn....or any ways to check for a bent valve. Sounds nasty, but you may be better off getting the engine out of the car now so you can investigate easier. Might be worth taking the cam covers off to check for stuck valves etc. It does sound like it's bent something though if the cam isn't moving. Just one point, have you tried taking the spark plugs out and turning all the cams round in a non-compression state. They should all move freely, if not something inside is not right. I've got something like that for under £10 and they are great. Very useful tool. Video, screen shots etc and good quality for what it is. Hi there no I have not....I will remove the plugs and try to turn the cams again....thanks for the tip. Mine has bright LED lights at the end too, great little gadgets. Looks good that mind....my have to invest in one. Put the crankshaft timing mark at TDC and then try and rotate each cam. 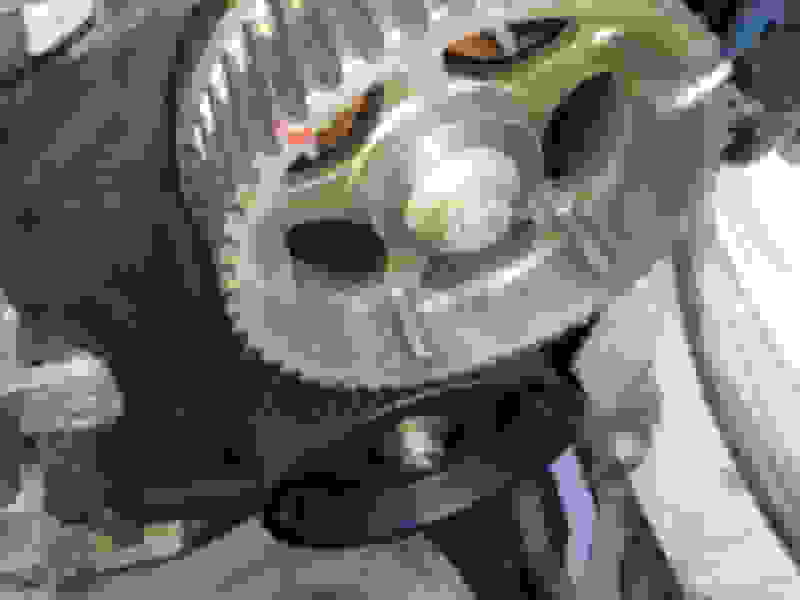 The pistons are all at mid stroke with the crank marks lined up so the cams should rotate freely. Checked and crank was tdc....removed plugs...cam srill don't turn. Removed cam cover for a look. Can't really see much. 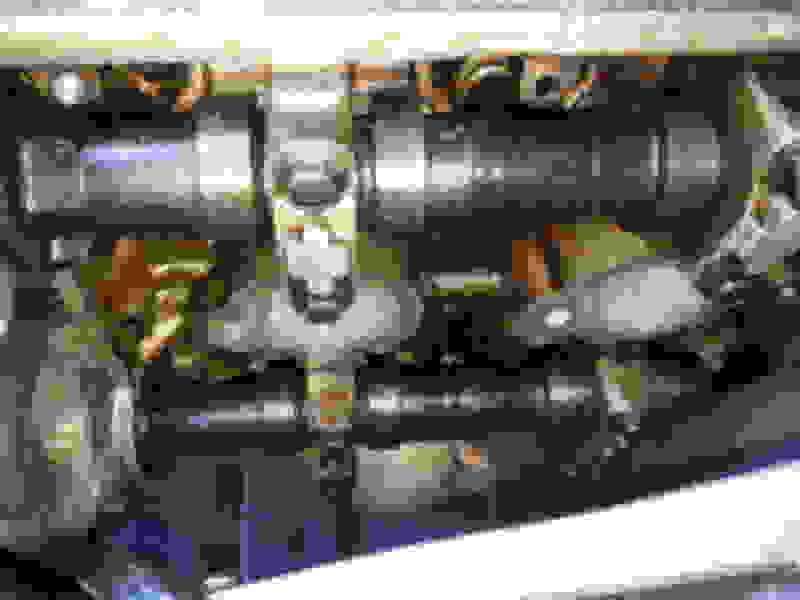 The only thing i noticed was the lifter buckets were touching all four cam lobes and looked to be out a little more compared to those on the cam above it. Lower pully which wont turn. Last edited by staffychance; 13 April 2019 at 08:32 PM. What's going on with all the debris all over the inside of the engine, cams etc? Was that in there when you took the cam covers off? Nah. It was just from me messing on try to get pics and get light in. Was clean. It would definitely be easier to diagnose with the engine out (and probably the head off). Taking the engine out on a Subaru really isn't all that bad. Plenty of guides online (even video on YouTube). Assuming not everything is rusted, it shouldnt take more than a couple of hours, and then you can have a proper look/fix. 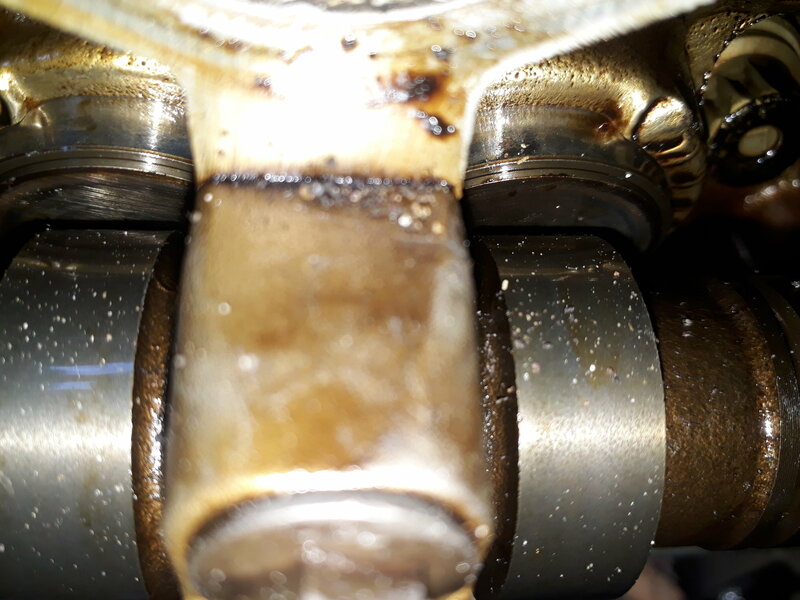 To start with, make sure you have the line on the crank drive sprocket lined up with the mark on the oil pump ( pistons halfway down the bores ) and not the triangle as this is the TDC mark and you wont be able to turn 2 of the cam sprockets depending which pistons are at TDC. If you cant get a 0.008"~ 0.010 " ( standard clearance ) feeler blade between the shim and cam lobe on No.4 exhaust cam ( rear pair ) then the valves are probably bent. Drive belt/Alternator belt snapped, what to do? 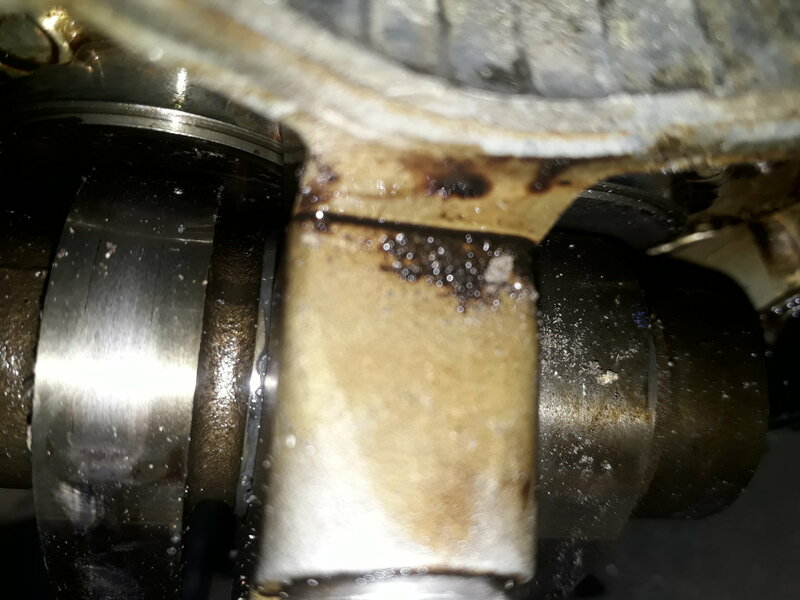 Quick Reply: Forester Turbo.....is the cam seized?